Chartering with people who have never done it before? No problem, so long as you consider their needs, interests, fears, budgets and passions. It’s also important to remember that it’s their vacation too. Even if you’re an old pro with multiple charters under your belt, new people have no idea what to expect, and you’ll need to make accommodations to keep a happy boat. Discuss your crew’s expectations and choose a location together. If they hate to be cold, hot, seasick or stuck solely aboard a boat, you’ll have to choose cruising grounds that make sense for the guests aboard. If the priority is sightseeing and shopping, remote anchorages with little opportunity to go ashore will not work. If they get seasick easily, long upwind passages will be no fun. And if your crew just wants to relax with cocktails, plenty of cultural activities will be less in demand than a swim-up bar in a tropical locale. When you are dealing with couples, make sure you ask each individual what they need to make a successful vacation, and don’t just let one speak for both or there’s bound to be trouble. Some people don’t mind roughing it while others can’t survive without air conditioning, twice daily showers and a hair dryer. Review the amenities (and the tankage) on your charter vessel and discuss what is or is not likely to be aboard. Also, if your people are not used to sailing, living in close quarters, or are prone to seasickness, consider a catamaran. Multihulls provide more room so couples can enjoy their own cabin and head, and the motion is often a little easier with less heeling and therefore less upset stomachs and general nervousness. Inquire at the base as to the age of the boats too, as that will give you some idea of their condition and equipment. If your experience is light, you may want a professional captain aboard to run the vessel so you don’t have to be stressed by the experience. A charter captain’s local knowledge will help you find the most interesting anchorages, and steer you away from tourist traps and any navigational hazards. Even if you have lots of experience, you may prefer to enjoy your family and friends, and not have to worry about managing the vessel as well as all the personalities aboard. An overly ambitious itinerary is almost always a recipe for disaster, as people feel rushed to visit multiple destinations without really experiencing any of them fully. The number of places you’ll visit will depend on how far apart they are, how much there is to do at each spot, and how much time your crew wants to spend aboard and underway. Many new sailors feel that chartering is all about the sailing, but non-sailors look forward to more of a comprehensive vacation rather than sail camp. Kids can complicate or enhance a charter, and they will make you embrace a different itinerary than if you had only adults onboard. (For instance, children will likely get a lot less joy out of cocktail hour!) When chartering with kids, remember that for the most part, they’re not self-entertaining. Consider their ages and their preferred activities. Ask the charter base for additional equipment like mask/snorkel/fins, kayaks and water toys. For evenings when the adults want to have sundowners in the cockpit, a TV/DVD and a few movies can make for a peaceful boat. 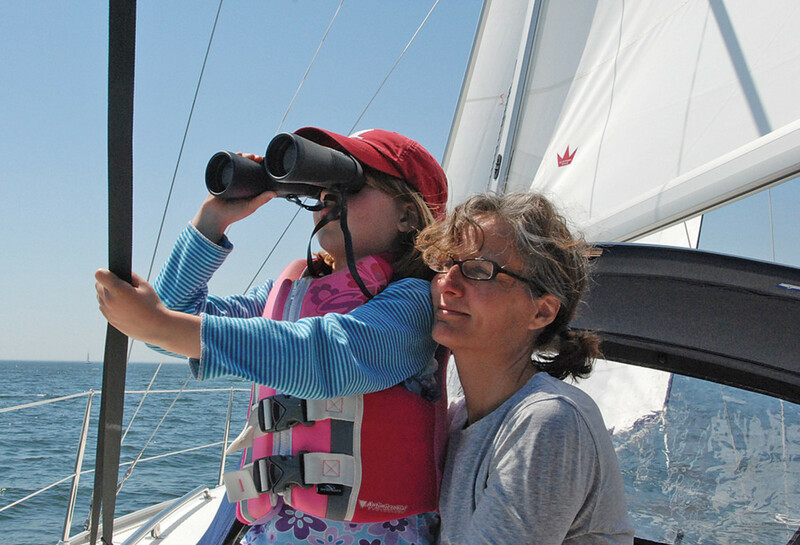 Mostly, remember that you’re vacationing with your kids, so get them involved and show them how to sail, anchor, snorkel or run a dinghy. They’ll be much more enthusiastic. Even if it’s glamping (glamour camping), life aboard can be like camping, which might not be everybody’s cup of tea. Unless you have someone aboard who loves to cook and clean up, make provisions to eat out a couple of times during the charter. Also, provide plenty of water for the crew to take showers. Nobody likes to feel dirty, sticky and itchy on their vacation. Finally, before anyone even steps onboard, discuss a budget with everyone and how to share expenses. People have different priorities for their money, so be respectful of their wishes and needs.